The FZ range now comes with ABS as standard. Power figures of the FZ and Fazer remain the same. Pillion seat is wider on both the motorcycles. Kick-starting the year for Japanese manufacturer Yamaha, the third generation FZ has been finally launched in India priced at ₹ 95,000 and FZ-S is priced at ₹ 97,000 (ex-showroom, Delhi). The 2019 Yamaha FZ-S V3.0 comes with a host of upgrades over its predecessor including a completely new design theme, improved engine and performance figures and the addition of AntiLock Brakes (ABS) that will be standard on all motorcycles above 125 cc from April 2019. 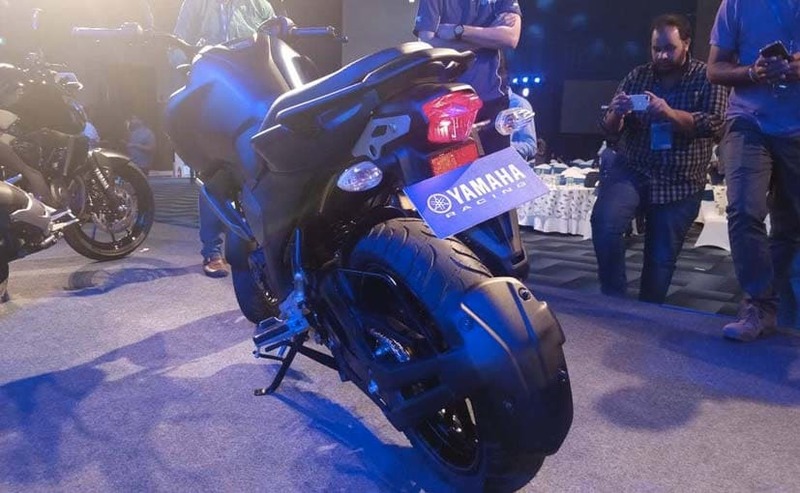 Yamaha is also offering the FZ 25 and the FZ-S 25 with dual-channel ABS priced at ₹ 1.33 Lakh and 1.44 Lakh, respectively (ex-showroom, Delhi) The new Yamaha FZ V3.0 aims to re-establish Yamaha's dominance in the premium end of the 150 cc space, a segment started by the FZ range back in 2008. Along with the FZ range, Yamaha has also launched its faired avatar- the Yamaha Fazer with prices starting at ₹ 1.43 Lakh, (ex-showroom, Delhi). The 2019 Yamaha FZ-S V3.0 looks dramatically different over its predecessor and a lot more refreshing. Upgrades include the new full-LED dual pod headlamp unit, along with the new beefed-up fuel tank and come with the extended tank shrouds. The design is decidedly in-line with the larger Yamaha FZ-25 and offers a more masculine and brawny appeal to the motorcycle. 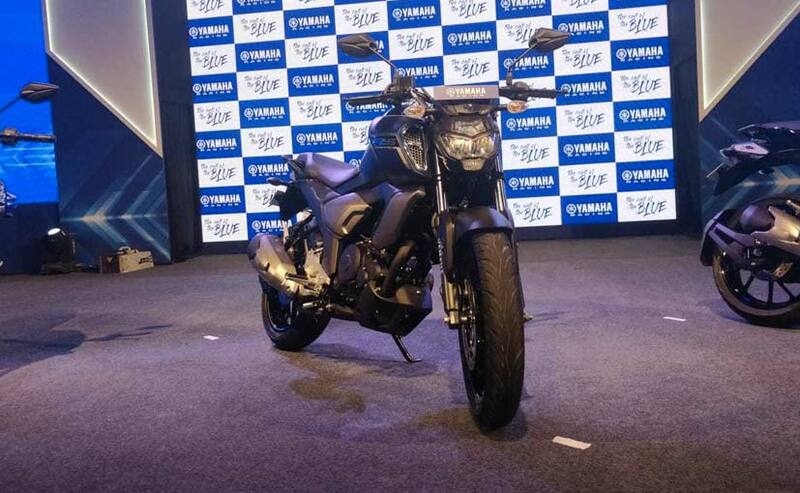 The Yamaha FZ V3.0 also comes with a new step-up style single-seat replacing the split seat, new alloy wheels and the fenders have been redesigned as well. Other upgrades include the turn indicators that have moved up a bit and there's new exhaust cover too. The instrument console remains digital but has been updated to view more information this time. Yamaha has worked on the pillion seat of the FZ. The 2019 Yamaha FZ V3.0 has also received a big update to its powertrain. The motorcycle is powered by the 149 cc single-cylinder, fuel-injected engine and is now tuned to produce 13.2 bhp and 12.8 Nm of peak torque. The motor continues to be paired to a 5-speed gearbox. The bike also continues to use the beefy looking 41 mm telescopic forks up front and a monoshock unit at the rear, while braking performance comes from disc units at either end. The third generation FZ V3.0 now comes with single-channel ABS as standard, which means you have better braking control on the front wheel. The 2019 Yamaha FZ-S V3.0 will go on sale in the next month and will join the very competitive 150 cc motorcycle segment against the likes of the Honda CB Hornet 160R, TVS Apache RTR 160 4V, Bajaj Pulsar NS160, and even the Hero Xtreme 200R. The FZ-S V3.0 is priced at a premium of about ₹ 10,000 over its predecessor. Yamaha dealerships across the country have started accepting bookings for the new FZ.